Originally posted at The Conversation. View the original post here. We are in the coal business. If you want decent hospitals, schools and police on the beat we all need to understand that. – Queensland Premier Campbell Newman, June 2012. It was a rare moment of unscripted truth in Australian politics, which summed up decades of national policy. Newman was not just articulating Liberal National Party policy; keeping Australia in the coal business has also been core to Labor’s economic policy for many decades, going back to the “no regrets” approach of the Hawke/Keating years. It’s not hard to see why the bipartisan consensus on coal persists. 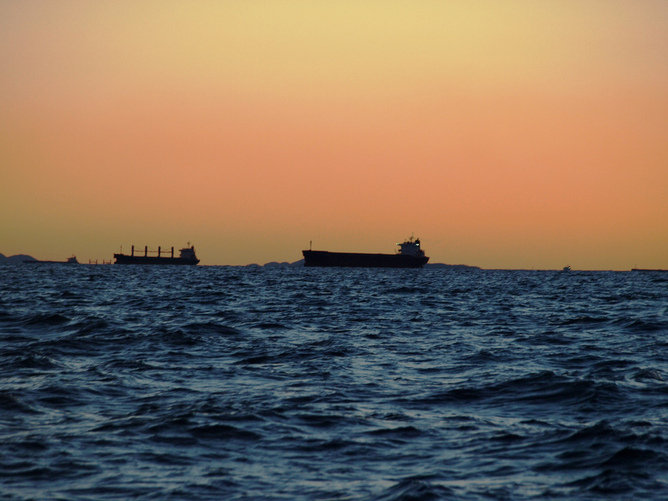 Coal is the biggest export earner for Queensland and New South Wales, and our second biggest nationally, worth A$41 billion in 2012. Nearly 80,000 people have had their say – and in the draft plan currently under review by the state government, coal doesn’t rate a mention. Bottom line, the more engaged the public, and the more aware the government of public perceptions, the more effective and long-lasting outcomes that can be expected. – Ames, correspondence with the author. 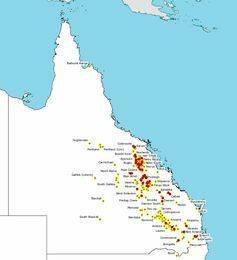 Launched early last year, there have been major summits in Mackay and Brisbane, dozens of workshops and hundreds of meetings across the state, as well as online surveys and discussions, all feeding into a draft 30-year plan. The final plan will be released in mid-2014. Subtitled “Our working draft created by Queenslanders, for Queensland”, the 44-page draft plan distills all that community consultation into nine key subjects: education, community, regions, economy, health and well-being, environment, people, infrastructure, and governance. 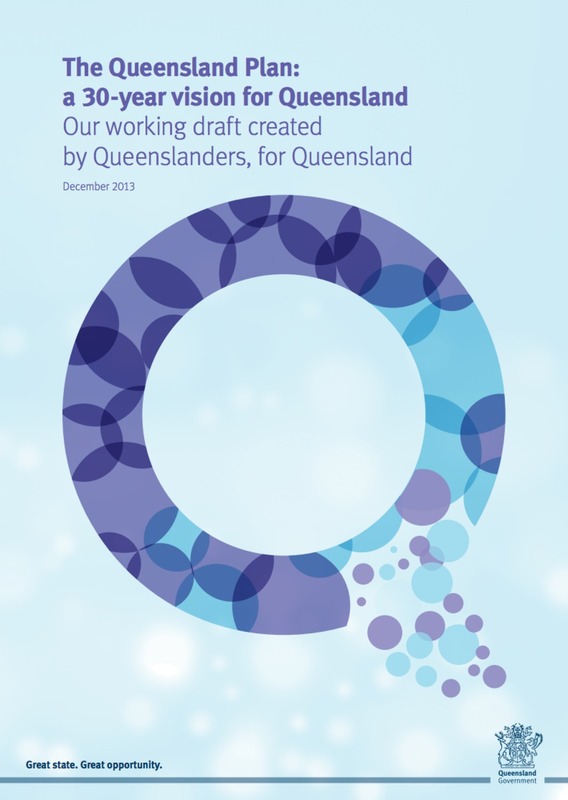 More thorough than any public opinion poll, the draft Queensland Plan shows that Queenslanders want regional development and livable communities, but importantly they want these to be innovative, sustainable, and supportive of emerging industries. Surprisingly, “coal” is nowhere to be found in the draft Queensland Plan. Instead, people have expressed a clear preference for developing agriculture, ecotourism, education, research and development, and alternative energy. An animated summary of the draft Queensland Plan and what Queenslanders say they want. For so many people from such a coal-reliant state to envisage a generational shift away from coal is remarkable. But it mirrors some other shifts in public sentiment and behaviour, in which ordinary Australians have moved ahead of politicians – sometimes catching federal and state governments off-guard. Even a few years ago, who would have confidently predicted the recent trends in rooftop solar power? Certainly not major power companies like AGL, which have reported hits to their profits as more Australians try to control their rising power bills by going solar. Between March 2011 and the end of 2013, the proportion of Australian homes with solar panels more than doubled from 7.5% in March 2011 to 16%, representing more than 3 million people. However, imagining a future without significant coal export revenues will be harder for political leaders from both major parties. Campbell Newman has shown himself to be a commendably unorthodox political leader in conceiving and championing such an inclusive, forward-thinking process as the Queensland Plan. Campbell Newman invites Queenslanders to have their say on the state’s future. So now the question is whether both sides of politics will heed the sentiment so strongly articulated in this bold 30-year community vision for Australia’s leading coal state. Ultimately, it is a vision that neither the Liberal National Party nor Labor can ignore. The alternative, as the people have rightly identified, leaves us dependent on the hope that Asia’s major coal consumers will never clean up their own industries. It’s a risky strategy, as more analysts are warning, particularly as our region’s economic powerhouse and main Australian market, China, has announced its own “war on pollution” – much of it generated by burning coal. 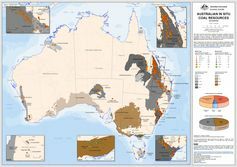 Simultaneously, UN committee has warned QLD that, as well as Great Barrier Reef, condition of Tropical Rain Forest is close to status of ENDANGERED! Will Phoney Tony call this as just more crap? This is promising news. I just hope that Newman and his counterparts on the other side of politics have the wit to recognise the need to develop clean, renewable technologies and energy production. 10 coal consuming countries account for over 85% of the world’s total coal consumption, with China alone consuming as much as rest of the world together.